ABC is open to the idea of a LOST reboot, though it is not actively in development. A sizzle reel for some of ABC's most notable content played at the Television Critics Association on Tuesday, including footage of Matthew Fox as Jack Shephard shouting, "We have to go back!" The famous moment from the show's third season prompted a reporter to ask ABC programming chief Karey Burke if a reboot of the series is on the way. "I would like that very much," Burke said. "That is a reboot I would be interested in seeing." The comments seemed to be more of entertaining the reporter's question than hinting towards any reboot being in development. Hopes were also shot down when the audience was told a reboot is not on the way. A reboot or continuation of some sort for the ABC show seems inevitable given its popularity and cementing in pop culture. In fact, executive producer Carlton Cuse previously expressed his expectation of seeing LOST heading back to television eventually. "For Damon [Lindelof] and myself, we really feel like we were given an incredible opportunity to tell the story we wanted to tell," Cuse told ComicBook.com in 2017. "It was really the first network show where we sort of dictated our own end date. We told the story we wanted to tell. To this date, there has not been any effort or any talk between us about doing anything else." Although he is sidelining himself when it comes to the show which ran for six years on ABC, Cuse has no problem with another set of writers stepping in to pick up where he and Lindelof left off. "I do believe at some future point, someone else will do something in the LOST world and that's OK," Cuse said. "There probably are some young wonderful writers out there. Maybe Damion Chazelle would like to do a musical in the world of LOST, I don't know. He's free to do it." 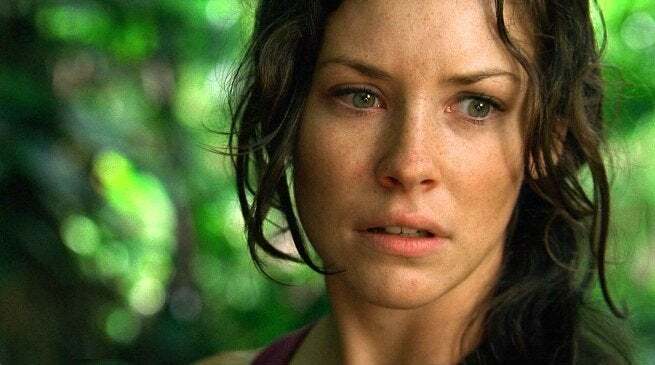 Would you like to see LOST return to TV? If so, would you prefer the series get a complete reboot or revisit the island which saw Hurley being in charge and several other characters surviving off-island? Share your thoughts, theories, and suggestions in the comment section or send them my way on Twitter, @BrandonDavisBD!